Officer Amber Guyger fatally shot Botham Jean, 26, after entering Jean's apartment at the South Side Flats, mistaking the unit for her own, police said. The man killed by a Dallas police officer at his apartment on Thursday night did not know the officer, and the officer wasn't in a picture with the victim that has been widely shared on social media, sources with direct knowledge of the investigation confirmed to WFAA on Saturday. 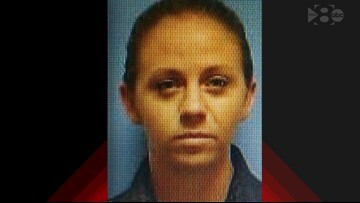 The officer – identified by police on Saturday night as four-year veteran Amber Guyger– fatally shot Botham Jean, 26, after entering Jean's apartment at the South Side Flats, mistaking the unit for her own, police said. Contrary to rumors swirling on social media, Jean did not know Guyger, a source with knowledge of the investigation told WFAA. Also, Guyger was not one of the people with Jean in a picture that has been circulating on social media, sources said. Attorney Lee Merritt, who is representing Jean's family, also said that Jean did not know Guyger, according to family members. "We have nothing to substantiate those claims," Merritt told reporters at a press conference Saturday. The Texas Department of Public Safety's Texas Rangers, who often assist agencies in investigating officer-involved shootings, are handling the case, which remained under investigation Saturday. While the shooting was not technically an officer-involved shooting – Guyger had just gotten off duty but was still in her police uniform – Dallas police Chief Renee Hall said she wanted the Rangers to investigated to ensure "transparency." Hall said that her department was in the process of obtaining a manslaughter warrant for Guyger on Friday, but the Rangers asked police to "hold off" on the warrant. The Rangers talked with the officer and wanted to further investigate what they learned in the interview, Hall said. Guyger had been assigned to the Southeast Patrol Division, according to police. She was placed on administrative leave after the shooting Thursday, pending the outcome of the investigation.